Who does the pool maintenance at your home? Chances are, whoever does it is currently seeking the fastest and easiest way to get accurate water test results. The test strips by Aquacheck are s accurate as the bottles-and-drops method, but they require a lot less mess. 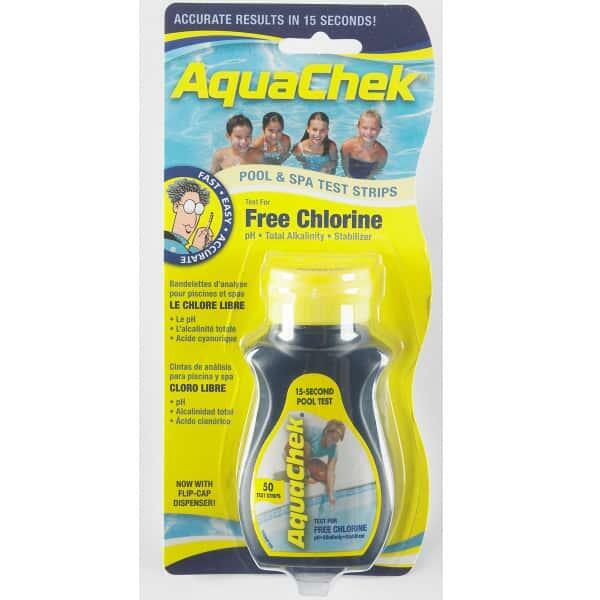 Test multiple levels with the Chlorine 4 Way Swimming Pool Water Test Strips.